Appartementhaus Lake View by All in One Apartments price per day from € 70 Appartementhaus Lake View offers apartments with terrace and free Wi-Fi access in a sunny and quiet location above Zell am See, about 500 metres away from the centre. The City Xpress ski lift to the Schmittenhöhe ski area is only 200 metres away from Appartementhaus Lake View. Apartment house near the lake by All in One Apartments price per day from € 65 Set in green surroundings, Apartment House Near The Lake enjoys a hillside position, a 2-minute walk from the Zell Lake and 500 metres from the centre of Zell an See. It offers apartments with lake views and a flat-screen cable TV. The closest cable car in the Zell am See-Schmittenhöhe Ski Area is within a 10-minute walk..
Chalet CityXPress Zell am See price per day from € 150 Set next to the CityXpress Cable Car, Chalet CityXPress Zell am See is located in Zell am See, 500 metres from Lake Zell, offering free WiFi access. 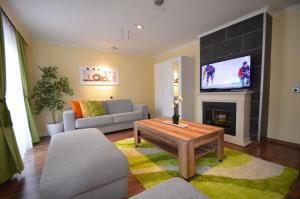 The units feature a flat-screen TV with cable channels. At the CityXPress Zell am See Chalet a ski storage room is at guests' disposal. Cityapartment Zell am See price per day from € 65 This bright and modern apartment in the centre of Zell am See is just 50 metres from the CityXpress Cable Car and a 2-minute walk from the pedestrian zone. Cityapartment Zell am See offers 2 bedrooms, a living room with satellite TV and a DVD player, a kitchen, a washing machine, and a bathroom. 4 Seasons holiday house . Superior Appartement Mozart price per day from € 195 Offering a large mountain-view balcony and a flat-screen TV with satellite channels, Superior Appartement Mozart is set in the centre of Zell am See, 150 metres from the lake’s banks. Seating area in the living room, and ironing facilities are available..
Landhaus Piberger price per day from € 140 Located in the Schmittenhöhe ski area above Zell am See, Landhaus Piberger is within a 5-minute walk from Schmittenhöhe, Sonnenalm and TrassExpress Cable Cars. The spacious apartment includes several balconies with lake views, wooden furniture and floors, and satellite TV. Schwaiger Appartements Overlooking Lake Zell, the spacious apartments are right next to the ski slopes and a 10-minute walk from the Schmittenhöhe Cable Car and the centre of Zell am See. 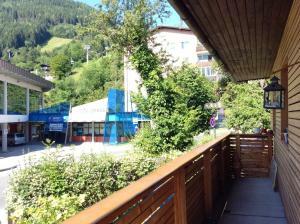 Free parking is available on site, and a ski bus stop is right outside Appartements Schwaiger. From 15 May to 15 October, guests receive a Zell am See-Kaprun Card, offering free benefits and various discounts on activities in the area..
Appartements am Stadtpark Zell am See price per day from € 170 Appartements am Stadtpark Zell am See is located in the city centre, 500 metres from the Schmittenhöhe Ski Area. The accommodation units come with a fully equipped kitchen, a work desk, cable TV and a private bathroom. 7. At the roundabout, take the 2nd exit onto Brucker Bundesstr./Pinzgauer Str.311. Continue to follow Brucker Bundesstr. 8. Turn right to stay on Brucker Bundesstr. Destination will be on the right. Golf club Eichenheim, 29.9 km from the centre of town of Zell Am See. Ski resort Abtenau, number of cross country pistes: 70km. 50 km from town of Zell Am See. Ski resort Alpbach, very good nightlife, many restaurants and pubs. 64 km from town of Zell Am See. Ski resort Achenkirch, altitude: 930m. 84 km from town of Zell Am See.